Great faces. Great drawing, great job. It was more fun than I expected. 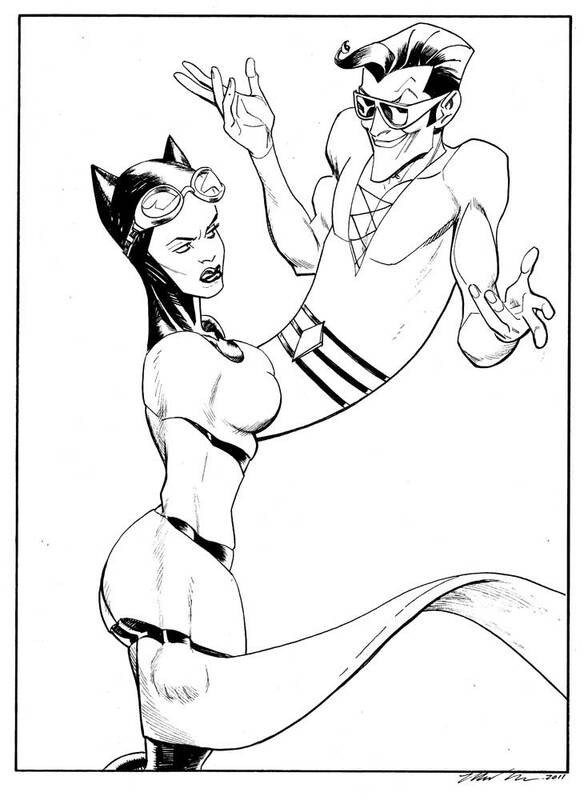 First time drawing both Plastic Man and Catwoman. Haha! That's great, Mike. Your Plastic Man is awesome! The whole thing is brilliant, but I can't take my eyes off Plas' left hand. It's *perfect*. So great, Mike! Love the expressions! R. - HA! Glad you liked it. Dan - Spoken like a true artist! I often find myself doing the same thing. Mitch - Thanks, man! I had more fun than I expected on this! Like everyone else, I love the expressions! Wrap it up! I'll take it!